"“They might not have research letters after their name but they are carrying out practical conservation, paid for by the shooting income that drives the business model." Scotland’s gamekeepers will deliver millions of pounds of ‘free’ conservation this year despite bracing themselves for a poor grouse shooting season. That is the view of Scottish Gamekeepers Association Chairman Alex Hogg ahead of the start of the 2018 season on Monday (13th August). With grouse breeding hit by extreme weather there will be less harvestable surplus for paying visitors to shoot and many estates are cancelling days to preserve future stocks, losing income. Scottish Government will miss out on tax revenue and the tourism sector will suffer but gamekeeping bodies say Scotland’s countryside will still gain millions from un-costed conservation. Tens of millions of pounds of public money has been claimed in recent years by bird charities and NGOs, through lottery, EU schemes and grants, to conserve species- cash which could become tighter after Brexit. However skilled legal predator control, benefitting a range of threatened species, is undertaken by gamekeepers daily as part of their employment, lessening cost burdens on tax payers. And SGA Chairman Alex Hogg says Scotland will still benefit handsomely from the work of gamekeepers which he believes would cost millions each year to replicate or replace. “Someone ultimately has to pick up the tab for conservation because it is expensive,” he said. “Our members are out every day in all weathers controlling predators and undertaking habitat work at landscape scale. This protects game species- the business model- so some of the income comes back, but it also benefits an array of species particularly the many threatened ground-nesting birds we now have in Scotland. 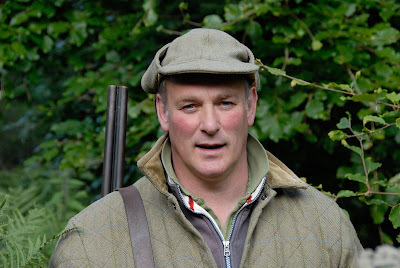 “This year, sadly, it looks like we will welcome less international shots for the grouse and that will squeeze the money available for estates to pay for everything else. It is expected that eradicating stoats in Orkney by trapping and lethal control, for example, will cost £3m of public money. Trapping grey squirrels in order to protect the native red led to Scottish Wildlife Trust receiving £2.46m of lottery grants last year. Millions of pounds of European and heritage cash has been spent trying to increase declining Scottish Capercaillie numbers; a small part of which was used up in attempts to control foxes. “Stoat and fox control are two examples of skilled work which trained gamekeepers undertake every day using approved traps and snares. They are not involved in eradication programmes. They are trying to keep a balance in the countryside so things don’t get to that point. “They might not have research letters after their name but they are carrying out practical conservation, paid for by the shooting income that drives the business model. “By controlling foxes, rabbits, deer and mountain hares, they are also helping the farmers protect livestock, poultry and crops for the food chain, and young trees. The 2014 report: The Value of Shooting by PACEC placed the value of conservation on all UK shoots at 3.9 million work days; the equivalent of 16 000 full-time conservation jobs. Nearly 30 percent of UK shoots are also responsible for sites containing conservation designations. The Grouse season in Scotland is estimated to be worth £32m to the economy each year. A survey of 45 grouse estates last year showed that £23m of trade to local businesses was generated by grouse estates before a grouse was even shot. Despite projected lost shooting income that level of investment will already have been committed in 2018. The Costs of Conservation and Pest Management (some examples).